There has accumulated a large amount of research demonstrating that mindfulness has significant benefits for psychological, physical, and spiritual wellbeing. It even improves high level thinking known as executive function and emotion regulation and compassion. Its positive effects are so widespread that it is difficult to find any other treatment of any kind with such broad beneficial effects on everything from thinking to mood and happiness to severe mental and physical illnesses. This raises the question of how mindfulness training could produce such widespread and varied benefits. One possibility is that mindfulness practice results in beneficial changes in the nervous system. The nervous system is a dynamic entity, constantly changing and adapting to the environment. It will change size, activity, and connectivity in response to experience. These changes in the brain are called neuroplasticity. Over the last decade neuroscience has been studying the effects of contemplative practices on the brain and has identified neuroplastic changes in widespread areas. In other words, mindfulness practice appears to mold and change the brain, producing psychological, physical, and spiritual benefits. The changes are complex and require sophisticated brain scanning techniques to detect. Hence there is a need to continue investigating the nature of these changes in the brain produced by meditation. In today’s Research News article “Differences in Functional Connectivity of the Insula Between Brain Wave Vibration in Meditators and Non-meditators.” (See summary below or view the full text of the study at: https://www.ncbi.nlm.nih.gov/pmc/articles/PMC6244630/ ), Jang and colleagues recruited meditation practitioners and meditation naïve participants. The meditation practitioners had been practicing Brain Wave Meditation daily for at least a year. This meditation technique “is designed to help quiet the thinking mind and release negative emotions by performing specific rhythmic physical movements and focusing on bodily sensations.” The participants then underwent resting functional Magnetic Resonance Imaging (fMRI) of their brains. They found that in comparison to the meditation naïve controls the meditators had greater levels of functional connectivity between the Dorsolateral Prefrontal Cortex and the Insula and Thalamus. There was also increased functional connectivity between the Insula and the Superior Temporal Gyrus. The Insula Cortex is thought to be involved in interoceptive awareness, that is the awareness of the body and the sensations from the body. The Thalamus is the major sensory relay in the brain transferring sensory information throughout the brain. The Prefrontal Cortex is thought to be involved in attention and higher-level thinking, cognition. The findings, then, suggest that meditation practice changes the brain in such a way as to improve attention and thought processes regarding internal sensations. This implies better attention to emotional states and better ability to regulate emotions. Indeed, it has been well established that meditation practice improves attention, high level thinking and emotion regulation. This, in turn, may underlie the increases in compassion toward the self and others that has been shown to occur in meditators. Better emotion regulation would increase psychological and physical well-being of practitioners. Thus, some of the benefits of meditation appear to be reflected in changes to the brain which may underlie these benefits. So, improve brain connectivity with meditation. Jang, J. H., Kim, J. H., Yun, J. Y., Choi, S. H., An, S. C., & Kang, D. H. (2018). Differences in Functional Connectivity of the Insula Between Brain Wave Vibration in Meditators and Non-meditators. Mindfulness, 9(6), 1857-1866. The majority of meditation involves focusing attention on internal events or sensations and becoming aware of emotions. The insula cortex, through a functional connection with the prefrontal cortex and other brain regions, plays a key role in integrating external sensory information with internal bodily state signals and emotional awareness. The purpose of this exploratory study was to examine the resting-state functional connectivity of the insula with other brain regions in meditation practitioners and control subjects. Thirty-five Brain Wave Vibration meditation practitioners and 33 controls without meditation experience were included in this study. All subjects underwent 4.68-min resting-state functional scanning runs using magnetic resonance imaging. The anterior and posterior insulae were chosen as seed regions for the functional connectivity map. Meditation practitioners showed significantly greater insula-related functional connectivity in the thalamus, caudate, middle frontal gyrus, and superior temporal gyrus than did controls. Control subjects demonstrated greater functional connectivity with the posterior insula in the parahippocampal gyrus. Our findings suggest that the practice of Brain Wave Vibration meditation may be associated with functional differences in regions related to focused attention, executive control, and emotional awareness and regulation. The nervous system is a dynamic entity, constantly changing and adapting to the environment. It will change size, activity, and connectivity in response to experience. These changes in the brain are called neuroplasticity. Over the last decade neuroscience has been studying the effects of contemplative practices on the brain and has identified neuroplastic changes in widespread areas. In other words, mindfulness practice appears to mold and change the brain, producing psychological, physical, and spiritual benefits. Meditation practice has been shown to change the brain and the brain’s reaction to emotions. The activity of the amygdala in the brain is highly associated with emotions. Hence, it would appear likely that meditation practice may alter the amygdala’s activity in response to emotions. 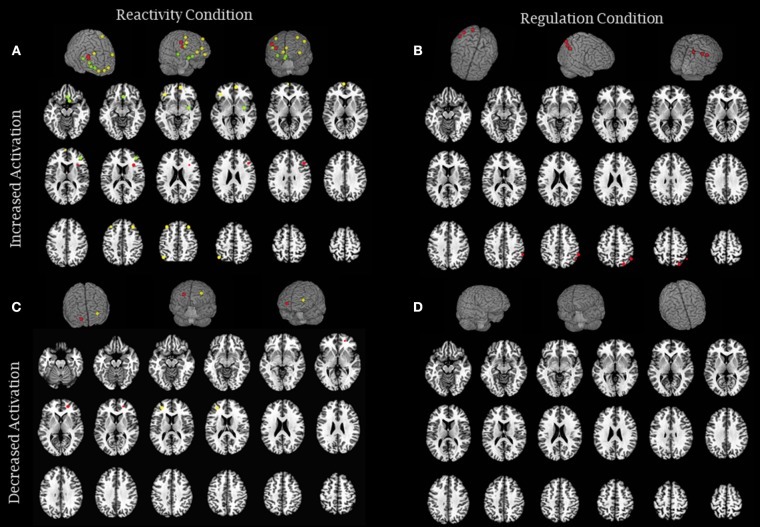 In today’s Research News article “Atypical Anxiety-Related Amygdala Reactivity and Functional Connectivity in Sant Mat Meditation.” (See summary below or view the full text of the study at: https://www.ncbi.nlm.nih.gov/pmc/articles/PMC6288484/ ), Chen and colleagues recruited healthy highly experienced meditators and healthy meditation naive participants. The meditators practiced Sant Mat meditation for 4 hours per day and had been practicing for at least 4 years. They also had a vegetarian diet and abstained from alcohol. The meditation practice incorporated loving kindness meditation. All participants were measured for their state anxiety and their trait anxiety. The participants viewed colorized pictures of faces while their brain activity was monitored with functional Magnetic Resonance Imaging (fMRI). They were asked to ignore everything about the faces except their color which they responded to with a button press. The faces were both male and female expressing either happy, fearful, or neutral emotions. They found that the meditators were significantly less anxious than the controls in both state and trait anxiety and the greater the number of years of meditation experience the lower the levels of anxiety. The meditators were also significantly slower in responding to the faces color. Slower responding has been associated with lower anxiety. 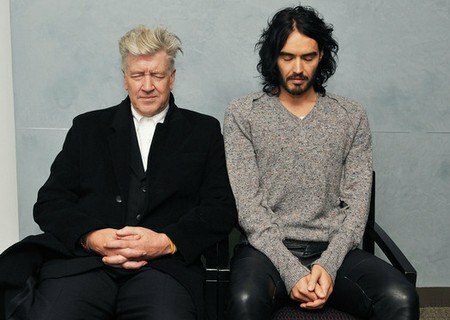 It is well documented that meditation practice lowers anxiety. So, the lower levels in the meditators and slower responding were expected. In terms of the brain amygdala responses to the face stimuli, the meditators had significantly lower responses regardless of the emotion portrayed. In addition, the meditators had a stronger amygdala response to happy faces than fearful faces while the controls had the opposite pattern with higher amygdala responses to fearful faces than happy faces. Mediation analysis indicated that the years of meditation experience was directly related to lower anxiety but the amygdala response partly meditated the effect such that the more years of meditation experience the lower the response of the amygdala and the lower the levels of anxiety. These are interesting and entirely consistent results. The amygdala is known to be involved in emotionality. The results suggest that meditation experience alters the amygdala to respond less to emotional stimuli and to respond more to positive emotional stimuli than negative emotional stimuli. These lower responses may be the source of the effect of meditation practice of improved regulation of emotions. The greater responses of the amygdala in meditators to positive emotional stimuli may be the source of the effect of meditation practice of increased happiness. It needs to be recognized that the meditators also had vegetarian diets and abstained from alcohol while the meditation naïve participants did not. It is possible that the differences observed stemmed from these differences rather than the meditation. It should also be noted that the meditators practiced 4 hours per day which is much more than most meditators, placing these meditators as outliers of amounts of meditation practice. Whether similar results may be observed with lower levels of meditation practice should be an important question for future research. So, change the brain to reduce anxiety with meditation. While meditation has drawn much attention in cognitive neuroscience, the neural mechanisms underlying its emotional processing remains elusive. Sant Mat meditators were recruited, who adopt a loving-kindness mode of meditation along with a vegetarian diet and an alcohol-restricted lifestyle and novices. We assessed their State-Trait Anxiety Inventory (STAI) and scanned their amygdala reactivity in response to an explicit and implicit (backward masked) perception of fearful and happy faces. 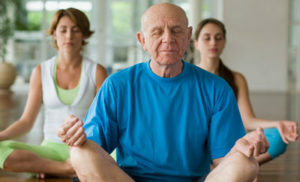 In contrast with novices, meditators reported lower STAI scores. 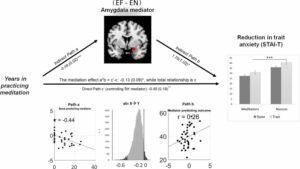 Meditators showed stronger amygdala reactivity to explicit happiness than to fear, whereas novices exhibited the opposite pattern. The amygdala reactivity was reduced in meditators regardless of implicit fear or happiness. Those who had more lifetime practice in meditation reported lower STAI and showed a weaker amygdala response to fear. Furthermore, the amygdala in meditators, relative to novices, had a stronger positive functional connectivity with the ventrolateral prefrontal cortex (PFC) to explicit happiness, but a more negative connectivity with the insula and medial orbitofrontal cortex (OFC) to explicit fear. 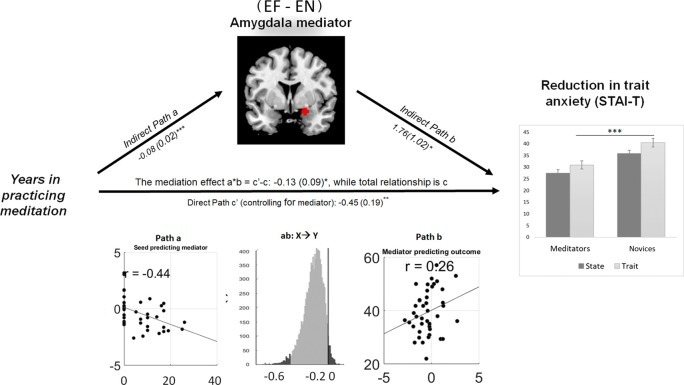 Mediation analysis indicated the amygdala reactivity as the mediator for the linkage between meditation experience and trait anxiety. The findings demonstrate the neural correlates that underpin the beneficial effects of meditation in Sant Mat. Long-term meditation could be functionally coupled with the amygdala reactivity to explicit and implicit emotional processing, which would help reduce anxiety and potentially enhance well-being. A prerequisite in science is that in order to study something you have to be able to reliably and validly measure it. With many concepts such as mindfulness, depression, and anxiety that reflect subjective states, there are currently no objective means to measure them. Measurement then falls to some kind of after the fact test or to a self-report. Traditionally, mindfulness has been measured with paper and pencil psychometric tests, such as the Five Facets of Mindfulness Questionnaire. They ask the participant to answer the question in regard to their overall, general state of mindfulness. It is unclear whether these subjective questionnaire reports are reliable, accurate, and honest and whether they relate to actual behavior of people in their natural, everyday environments. Hence it is important to investigate whether the results of these self-report tests actually predict what the people will do in their everyday life. In a second study, they recruited adults and randomly assigned them to either a control condition or to receive 8 weeks of meditation training they were measured before and after training for mindfulness and personality characteristics and wore a recording device over a weekend that recorded 50 seconds of sounds every 9 minutes. The sound samples were transcribed and analyzed for amount of time talking to others, positive and negative words, perception words (e.g., hear, see, feel, soft, loud), substantive, meaningful, conversations, and prosocial orientation (gratitude, affection, gossip, complaining). They found that the level of mindfulness of the participant was positively related to the perceptual orientation, use of words indicating sensations, but was not reliably associated with positivity, negativity, social interactions, prosocial, or antisocial interactions. Hence, the actual observations of the participants behavior were not in line with the expectations people have about the behavior of mindful people. 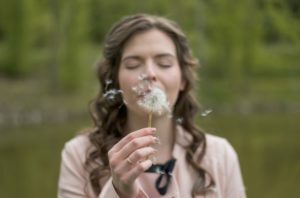 The results suggest that mindful people are more tuned into their perceptual worlds, which is an expectation about the present moment awareness of mindful people. But, in other ways, people high in trait mindfulness were not especially socially, emotionally, or prosocially oriented. This may indicate that mindfulness measured with paper and pencil tests is not a valid indicator of actual mindful behavior. On the other hand, they may indicate that peoples expectations about the observable behavior of mindful people are incorrect. This study is important in that it investigated actual, objectively defined behaviors by people that are expressed in their natural, everyday environments. This kind of analysis may prove to be a better actual measure of mindfulness than questionnaires and tests. It remains for future research to investigate this more thoroughly. But this study opens up a new and potentially important realm for the investigation of mindfulness. Mindfulness has seen an extraordinary rise as a scientific construct, yet surprisingly little is known about how it manifests behaviorally in daily life. The present study identifies assumptions regarding how mindfulness relates to behavior and contrasts them against actual behavioral manifestations of trait mindfulness in daily life. Study 1 (N = 427) shows that mindfulness is assumed to relate to emotional positivity, quality social interactions, prosocial orientation and attention to sensory perceptions. In Study 2, 185 participants completed a gold-standard, self-reported mindfulness measure (the FFMQ) and underwent naturalistic observation sampling to assess their daily behaviors. Trait mindfulness was robustly related to a heightened perceptual focus in conversations. However, it was not related to behavioral and speech markers of emotional positivity, quality social interactions, or prosocial orientation. These findings suggest that the subjective and self-reported experience of being mindful in daily life is expressed primarily through sharpened perceptual attention, rather than through other behavioral or social differences. This highlights the need for ecological models of how dispositional mindfulness “works” in daily life, and raises questions about the measurement of mindfulness. There has accumulated a large amount of research demonstrating that mindfulness has significant benefits for psychological, physical, and spiritual wellbeing. It even improves high level thinking known as executive function. Its positive effects are so widespread that it is difficult to find any other treatment of any kind with such broad beneficial effects on everything from thinking to mood and happiness to severe mental and physical illnesses. This raises the question of how mindfulness training could produce such widespread and varied benefits. Mindfulness practice has been shown to produce improved emotion regulation. Practitioners demonstrate the ability to fully sense and experience emotions, but respond to them in more appropriate and adaptive ways. In other words, mindful people are better able to experience yet control emotions. 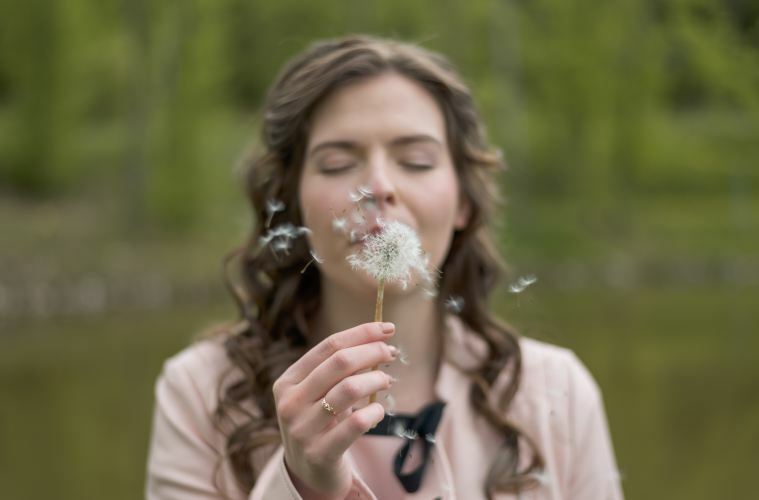 This ability of mindfulness training to improve emotion regulation may be the basis for a wide variety of benefits that mindfulness provides to mental health. Mindfulness practices may result in beneficial changes in the nervous system that underlie emotion regulation. The nervous system is a dynamic entity, constantly changing and adapting to the environment. It will change size, activity, and connectivity in response to experience. These changes in the brain are called neuroplasticity. Over the last decade neuroscience has been studying the effects of contemplative practices on the brain and has identified neuroplastic changes in widespread areas. In other words, mindfulness practice appears to mold and change the brain, producing psychological, physical, and spiritual benefits. 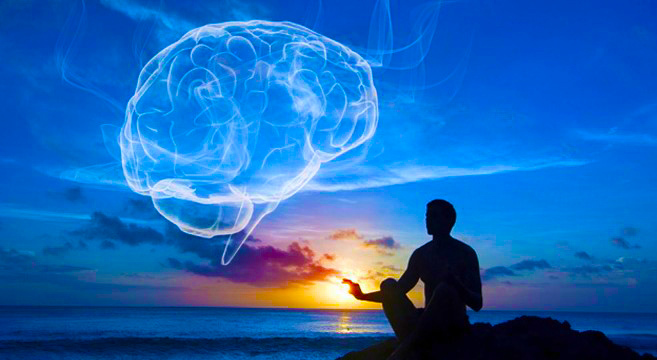 In today’s Research News article “Does Meditation Alter Brain Responses to Negative Stimuli? 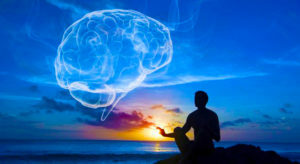 A Systematic Review.” (See summary below or view the full text of the study at: https://www.ncbi.nlm.nih.gov/pmc/articles/PMC6243128/ ), Magalhaes and colleagues review and summarize the published research literature on the ability of mindful practice to alter brain responses to improve the regulation of emotions especially reactions to negative events. 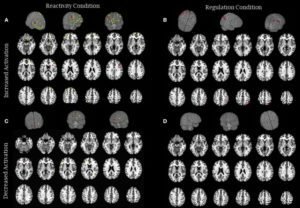 They identified 11 published studies that used functional Magnetic Resonance Imaging (fMRI) to assess brain responses to negative stimuli before and after mindfulness training. Six of these studies involved a comparison to a control group while five involved before after comparisons. They found that the research, in general, indicated that mindfulness training resulted in greater activation of the frontal and prefrontal cortical regions of the brain in response to negative emotion eliciting stimuli. A number of studies also identified greater activation of the insular cortical region. These are interesting findings as the frontal and prefrontal cortical regions have been identified as involved in higher level thought processes and particularly attentional processes. This suggests that a top down, cognitive, regulation of emotion is elicited to negative stimuli. Hence, it appears that individuals, trained in mindfulness, deal with negative emotions with attention and reason, analyzing the reality of the situation, and thereby responding less intensely and more adaptively and appropriately. The insular region has been shown to be involved in body sense, particularly interoceptive awareness of the state of the body. Its heightened response to negative stimuli after mindfulness training suggests that trained individuals have a heightened sense of how their bodies are responding to a negative emotion. Many people are unaware of their physiological reactions to emotions. By improving this internal awareness mindfulness training may make individuals better able to detect when a emotion is arising and thereby better able to regulate it. Hence, the published research indicates that mindfulness training results in changes to the brain that improve the detection of emotional reactions and the ability to attend to and rationally process the conditions that elicited them. These neuroplastic changes to the brain may underlie the ability of mindfulness training to enhance emotion regulation in response to negative situations and thereby improve the mental health of practitioners. Background: Despite several attempts to review and explain how meditation alters the brain and facilitates emotion regulation, the extent to which meditation and emotion regulation strategies share the same neural mechanisms remains unclear. Objective: We aim to understand the influence of meditation on the neural processing of negative emotional stimuli in participants who underwent meditation interventions (naive meditators) and long-term meditators. Methodology: A systematic review was conducted using standardized search operators that included the presence of terms related to emotion, meditation and neuro-imaging techniques in PsycInfo, PubMed, Scopus, and Web of Science databases. Results: Searches identified 882 papers, of which 11 were eligible for inclusion. Results showed a predominance of greater prefrontal/frontal activity related to meditation, which might indicate the increased recruitment of cognitive/attentional control resources in naïve and long-term meditators. This increased frontal activity was also observed when participants were asked to simply react to negative stimuli. Findings from emotion-related areas were scarce but suggested increased insular activity in meditators, potentially indicating that meditation might be associated with greater bodily awareness. Conclusions: Meditation practice prompts regulatory mechanisms when participants face aversive stimuli, even without an explicit request. Moreover, some studies reported increased insular activity in meditators, consistent with the hypothesis that meditation helps foster an interoceptive awareness of bodily and emotional states. We all have to deal with pain. It’s inevitable, but hopefully it’s mild and short lived. For a wide swath of humanity, however, pain is a constant in their lives. 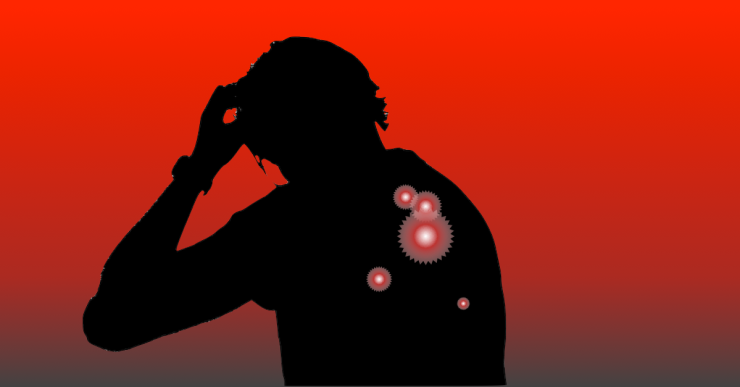 At least 100 million adult Americans have chronic pain conditions. The most common treatment for chronic pain is drugs. These include over-the-counter analgesics and opioids. Opioids act on a system in the brain that contains receptors that respond to these drugs. But opioids are dangerous and highly addictive. Prescription opioid overdoses kill more than 14,000 people annually. So, there is a great need to find safe and effective ways to lower the psychological distress and improve the individual’s ability to cope with the pain. Pain involves both physical and psychological issues. The stress, fear, and anxiety produced by pain tends to elicit responses that actually amplify the pain. So, reducing the emotional reactions to pain may be helpful in pain management. There is an accumulating volume of research findings to demonstrate that mind-body therapies have highly beneficial effects on the health and well-being of humans. Mindfulness practices have been shown to improve emotion regulation producing more adaptive and less maladaptive responses to emotions. Indeed, mindfulness practices are effective in treating pain in adults. It is not known whether meditations effects on pain are mediated by the same system that responds to opioids. In today’s Research News article “Enhancement of Meditation Analgesia by Opioid Antagonist in Experienced Meditators.” (See summary below or view the full text of the study at: https://www.ncbi.nlm.nih.gov/pmc/articles/PMC6162167/ ), May and colleagues recruited adult experienced meditators who were free of chronic pain and not taking opioid drugs. They were measured for pain responses to an electric shock delivered to the ring finger of the non-dominant hand. They rated the level of pain on a 10-point scale. The participants first rated pain under normal conditions and later while meditating. Those participants who demonstrated a 15% or more reduction in pain while meditating (meditation analgesia) participated in the second half of the experiment. Half the participants received a saline injection and half an injection of Naloxone (an opioid receptor blocker) and repeated the pain testing while meditating. In the next session the participants received either the saline or Naloxone injection that they did not receive in the first session. So, all participants received both saline and Naloxone injections and were tested for their pain sensitivity. They found in the initial test that 85% of the participants demonstrated a 15% or more reduction in pain while meditating (meditation analgesia). This high rate suggests that meditation routinely produces a reduced experience of pain in experienced meditators. In the second phase they found that meditation analgesia was not only not reduced by Naloxone injection but actually significant increased, with larger reductions in both pain intensity and pain unpleasantness to the electric shock after Naloxone injection than after saline injections. The opioid system of the brain is a well-established pain processing system. Its function is blocked by Naloxone. So, the reduction in pain produced by meditation was not affected by disrupting the opioid system. So, meditation analgesia must not be due to changes in this opioid system. It must be processed by a different system in the brain. The increase in meditation analgesia after Naloxone was a surprise, for which there is no viable explanation at this time. Hence, meditation reduces pain sensitivity and does so independent of the brain system that responds to opiates. So, meditation reduces pain sensitivity independent of brain opioid systems. May, L. M., Kosek, P., Zeidan, F., & Berkman, E. T. (2018). Enhancement of Meditation Analgesia by Opioid Antagonist in Experienced Meditators. Psychosomatic medicine, 80(9), 807-813. Studies have consistently shown that long-term meditation practice is associated with reduced pain, but the neural mechanisms by which long-term meditation practice reduces pain remain unclear. This study tested endogenous opioid involvement in meditation analgesia associated with long-term meditation practice. Electrical pain was induced with randomized, double-blind, cross-over administration of the opioid antagonist naloxone (0.15-mg/kg bolus dose, then 0.2-mg/kg per hour infusion dose) with 32 healthy, experienced meditation practitioners and a standardized open monitoring meditation. Under saline, pain ratings were significantly lower during meditation (pain intensity: 6.41 ± 1.32; pain unpleasantness: 3.98 ± 2.17) than at baseline (pain intensity: 6.86 ±1.04, t(31) = 2.476, p = .019, Cohen’s d= 0.46; pain unpleasantness: 4.96 ±1.75, t(31) = 3.746, p = .001, Cohen’s d = 0.68), confirming the presence of meditation analgesia. Comparing saline and naloxone revealed significantly lower pain intensity (t(31) = 3.12, p = .004, d = 0.56), and pain unpleasantness (t(31) = 3.47, p = .002, d = 0.62), during meditation under naloxone (pain intensity: 5.53 ± 1.54; pain unpleasantness: 2.95 ± 1.88) than under saline (pain intensity: 6.41 ± 1.32; pain unpleasantness: 3.98 ± 2.17). Naloxone not only failed to eliminate meditation analgesia but also made meditation analgesia stronger. 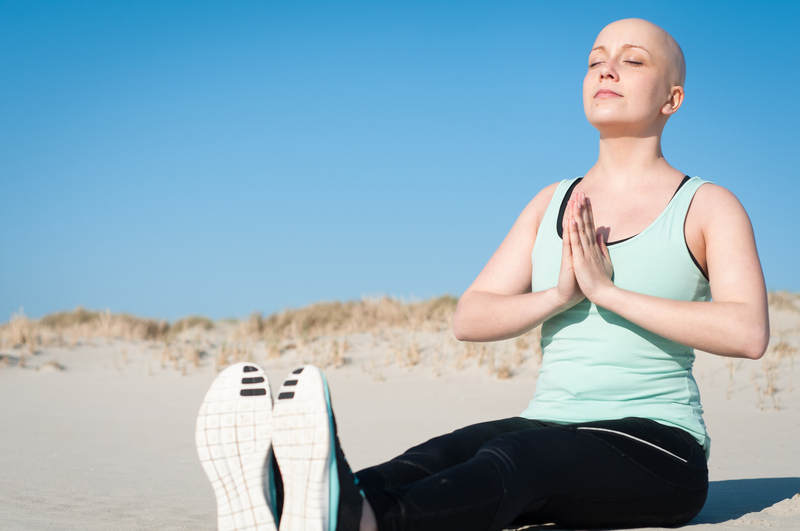 Long-term meditation practice does not rely on endogenous opioids to reduce pain. Naloxone’s blockade of opioid receptors enhanced meditation analgesia; pain ratings during meditation were significantly lower under naloxone than under saline. Possible biological mechanisms by which naloxone-induced opioid receptor blockade enhances meditation analgesia are discussed.